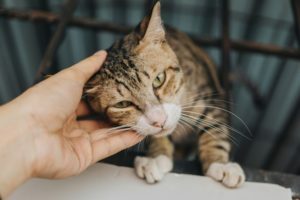 When a companion animal becomes seriously unwell, pet parents may be faced with the very difficult and heartbreaking decision of whether to euthanase their beloved companion or not. Even if euthanasia is selected as an option, the question as to when is the right time, can be an even more daunting consideration. Companion animals whose well-being may swing between good and bad days or when the rate of decline is slow, can make it particularly challenging to know when the time is right and make a clear decision (Christiansen, Kristensen, Lassen, & Sandae, 2016). Many owners may find themselves, during a particulary bad turn, thinking the time is right but then remember that last time their companion’s health improved and so postpone the decision. Pet parents may worry that if they euthanase their beloved pet too early they may risk not knowing if their companion still had many good days here on earth. Alternatively, if they euthanase their beloved companion too late they may inadvertently prolong suffering. The uncertainty of it all can be stressful and upsetting. “The decision can feel like a heavy burden. It’s hard to make the decision to end the life of a beloved companion that one has been trying so hard to save“. Some owners may hope for a peaceful unassisted death, where they wake up to find their companion animal has passed away in their sleep so that they don’t have to make the decision (Shanan, 2017). 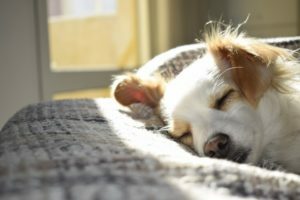 Other owners who have been providing round the clock care for their chronically ill pets may even find themselves questioning their own motives for making the decision. They may think am I doing this because I’m tired and worn out, or am I doing this to end the suffering of my beloved companion? Still, there are others who see that having the choice to end suffering and provide their companion animal with an honorable and pain-free death is a gift. No matter where you fall in this equation, the decision, is nonetheless, always a sad and difficult one. While the ultimate decision rests with you, you do not have to do it alone. Below I’ve compiled a list of things to think about as you make this very difficult decision. Engage your veterinary team for support and guidance. Talk to your veterinarian about your companion animal’s condition and prognosis, the likelihood of a return to normal life, or if that’s not possible, a new normal with good quality of life. Discuss treatment options, the side effects and the implications of these treatments. 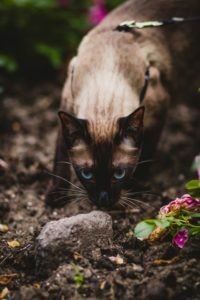 If you choose euthanasia as an option but are unsure of the timing, then it can be helpful to discuss with your veterinarian some benchmarks which may indicate when the time is right. If your companion animal has a chronic or terminal illness, talk about illness-specific symptom progressions to watch out for. You can also discuss benchmarks such as lack of interest in drinking/eating, or not being able to get comfortable. When talking with your veterinarian, write down what the veterinarian is telling you (Lagoni, 2011). Sometimes, it can be so overwhelming to talk about our companions being seriously unwell that it can be easy to forget these details. If your companion animal has a specific illness, your veterinarian may also have printed factsheets that they can give you to take home and read. Another method which can help you decide when the time is right is to record your companion’s daily living activities in a journal. Recording your pet’s symptoms and interest in eating, drinking and comfort levels in a journal can be a helpful way of tracking their progress. You can also record their interest levels in activities they enjoy. For example, rides in the car, walks, or social interactions with you or other pets. This way, you can track your pet’s quality of life and note any improvements or decreases over the course of time. This may also help you to record whether treatments have been successful or not. For many pet parents, the decision to euthanase is based on quality of life considerations. We can’t ask our pets what their quality of life is like and this can make it really hard to know exactly how they are feeling. Quality of Life scales can provide you with objective information as to how your beloved pet’s quality of life is progressing over time and in response to treatments. A great deal of research has been conducted in the area of animal quality of life and a number of scales have been developed to help veterinary teams and owners make these evaluations. While there is no gold standard scale available, what we do know is that when considering Quality of Life, we must take into account a number of dimensions including their physical, emotional and social wellbeing (Reid, Wiseman-Orr, Scott, & Nolan, 2013; Shanan, 2017). There are a number of scales available. Some are general and cover all companion animal species while others are disease and species-specific. One scale which is used widely is The HHHHHMM Scale. This scale asks you to rate your companion’s Quality of Life according to 7 dimensions: Hurt (Breathing ability and pain levels), Hunger (eating enough), Hydration (drinking enough), Hygiene (eg., groomed, unmatted, free of bed sores), Happiness (joy and interest in activities), Mobility (ease of movement) and More good days than bad. All Quality of Life scales are best used in collaboration with your veterinary team because not all quality of life considerations are easily accounted for with a number on a test and each scale has a number of limitations. For example, The HHHHHMM scale allocates the same score for Hurt (Breathing ability and pain levels) that it does for Hygiene considerations but many veterinary experts consider ease of breathing or being free from pain to be of top priority (Shanan, 2017). With all this in mind these scales, nonetheless, are helpful in providing you with some objective information. Something tangible which may make the muddy waters of euthanasia decisions a little clearer for you. Speak to your veterinary team about Quality of Life. They may even have access to their own preferred Quality of Life scales so it’s worth asking them for advice on their preferred methods of assessment. Together, you and your team can use a Quality of Life Scale as a way to collaborate and talk about how your beloved companion is feeling. What would your beloved pet want? 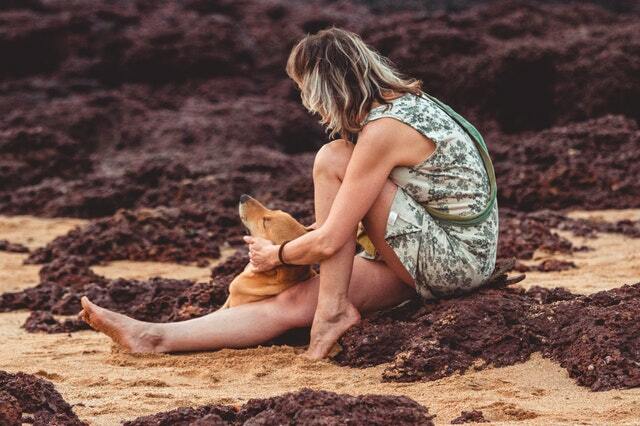 If you’re reading this, you no doubt have a strong bond and connection with your companion animal and you want nothing but the best for them. If you’re feeling unsure about making the decision, spend some time to think about what your companion animal would want you to do. You can even ask them. Obviously, companion animals cannot speak but many owners say that they looked into their companion animal’s eyes and knew that it was time. Enlist your friends and family for support during this tough time. If your companion animal is part of the family, make the decision a shared one so that each member has a chance to discuss their thoughts and concerns. 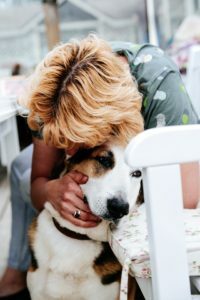 Many animal bereavement counsellors can also help you prepare for the death of a beloved companion, guide you through the decision-making process, and support you after the death. 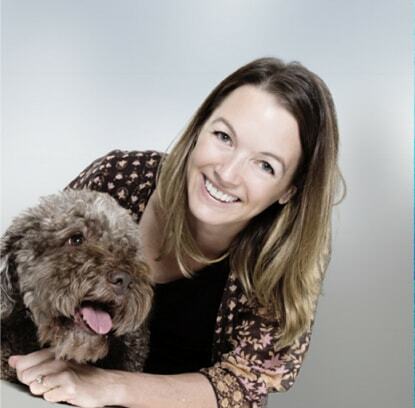 If you’re unsure where to find an animal bereavement counsellor then visit Pets and People, a website developed specifically to help pet owners connect with qualified and experienced pet loss counsellors in Australia. If you choose euthanasia as an option and know when the right time is, there are some additional details you may like to consider. To be present or not and where you would like the procedure to take place. To be present or not? Whether you decide to be present during the procedure or not is up to you. If you’re feeling unsure about being present, discuss your concerns with your veterinarian. Sometimes talking about your thoughts with your veterinary team can clear up any concerns you may have about the procedure. Some considerations you may wish to discuss are: what occurs during the procedure and your prior exposure to euthanasia. If it was a negative experience then discuss with your veterinary team what was particularly negative. This way, your caring veterinary team can work on trying to decrease the likelihood that the event will occur again. If you choose to be present, discuss with your veterinarian, how much time you will be able to spend with your companion before, during and after the procedure, and if they accommodate requests in relation to a personalised experience. For example, you may wish to have music playing, have friends and family members present or a candle burning. So discuss these options with your veterinary team and see if they can accommodate these requests for you. At home or in the clinic? You may wish to think about where you would like the euthanasia to be performed. Some companion animal owners choose to say good-bye in the clinic or at home. If a home euthanasia is preferred then discuss your preference with your veterinaian. Not all veterinary clinics are able to offer this service due to staffing and travel constraints. However, if this option is preferred, search for mobile veterinarians and home euthanasia services available in your area. For those, based in Melbourne, Australia, Dr Emma Whiston from My best Friend offers at home euthanasia services. Dr Emma can also help with palliative care, pre-euthanasia guidance and preparation, as well as burial and cremation arrangements. Making euthanasia decisions is not easy. Many pet parents describe it as one of the hardest decisions they have had to make. Reaching out for support and guidance will help you come to a decision that is best for your beloved companion. Lagoni, L. (2011). Family-Present Euthanasia: Protocols for Planning and Preparing Clients for the Death of a Pet. In C. Blazina, G. Boyraz, & D. Shen-Miller (Eds. ), The Psychology of the Human-Animal Bond: A Resource for Clinicians and Researchers (pp. 181-202). New York, NY: Springer New York. Shanan, A. (2017). Hospice and Palliative Care for Companion Animals : Principles and Practice. In J. Pierce & T. Shearer (Eds. ): Somerset : John Wiley & Sons, Incorporated.